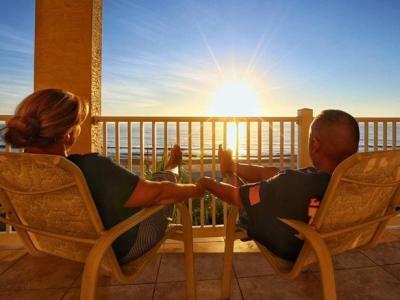 Home to dozens of restaurants ranging from beach side casual to upscale bistros, Palm Coast and the Flagler Beaches welcome many visitors who vacation here just to experience the culinary scene. Whether you&apos;re looking for local flavors like fried oysters and gator tails, international delicacies, or some of the freshest seafood in Florida, here are 13 spots you don’t want to miss during your next visit to Palm Coast and the Flagler Beaches. The blue waters of the Atlantic Ocean are the perfect backdrop for enjoying a delicious meal. A Flagler Beach staple for more than 20 years and voted Florida&apos;s #1 Beach Bar, Golden Lion Café serves fresh seafood, including oysters, lobster and its famous fish and chips. The restaurant has a family-friendly atmosphere as well as a full bar, generous happy hour and regular live music. Sip on margaritas and crack open fresh Florida stone crab while you overlook the ocean. 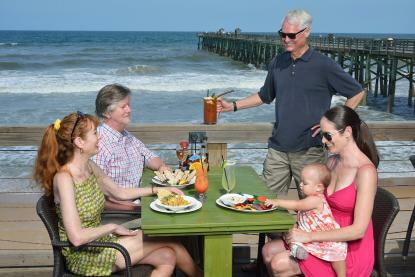 Another Flagler Beach favorite is the lively Funky Pelican. Located at the iconic Flagler Beach Pier, Funky Pelican serves gator bites, wings, burgers, as well as its “funky favorites,” like ragin’ Cajun rigatoni and spicy seafood jambalaya. Early birds will also love the restaurant’s breakfast menu. It’s one of the few places where you can enjoy pancakes and lobster benedict while watching the sunrise over the Atlantic Ocean. Also located on the water is High Tides @ Snack Jack, which offers a relaxed atmosphere and panoramic views of the Atlantic Ocean. A local’s favorite since the 1940s, this restaurant serves crowd favorites like crab fritters and fish tacos. You’ll also find unique seafood fare, including wild caught sardines, jerked salmon sandwiches and sweet fried scallops. Refined but upbeat, The Island Grille has a diverse selection of house made seafood creations and creative cocktails. You’ll enjoy the zesty Thai curry bowls, coconut and pineapple infused swordfish and Hawaiian rib-eye steaks served with a side of wasabi mashed potatoes. Its Sunday brunch selection is just as appetizing as its regular menus. Check out the restaurant’s weekly beachside buffet—a smorgasbord of seafood, eggs, grits and omelets. Wash down your delicious meal with one of its famous bloody mary’s that is piled high with tasty garnishes. Head inland to experience flavors from around the world. Osteria Rustica serves traditional Italian food as well as seafood dishes inspired by the nearby coast. You&apos;ll find a strong selection of exquisitely prepared pastas and a robust menu of domestic and international wines available by the glass. Popular dishes include lobster ravioli, gnocchi and the filet of sole, which is prepared tableside. As a family-run establishment, don’t be surprised if the chef visits your table to ask if you enjoyed your meal. Continue the Italian flair at Focaccia. 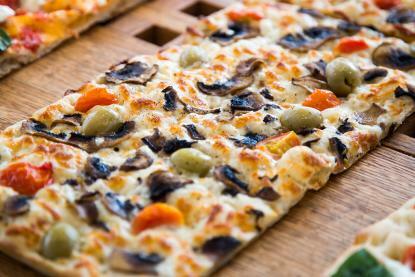 Inspired by the street food of Rome, Focaccia serves a wide selection of pizzas by the slice. Creative flavors like the patata, topped with golden potatoes and rosemary, and the broccolo, with broccoli and spicy red peppers, accompany traditional slices with pepperoni and Parmigiano cheese. The restaurant also serves pasta, dessert and Italian beers and wines. If you’re craving Asian food, head to Palm Coast’s Mamaling, the latest project from chef Hung Huynh, winner of Bravo’s “Top Chef” award in 2007. Explore the expansive menu of pho, ramen, Korean tacos, steamed buns, kimchi pancakes and lemongrass coconut curry. The Korean crispy chicken wings and pork adobo clay pot—a delicious mix of green beans, black pepper, caramel and egg—are always crowd pleasers. Traveling with pets? You’ll find plenty of pet-friendly establishments in Palm Coast and the Flagler Beaches. 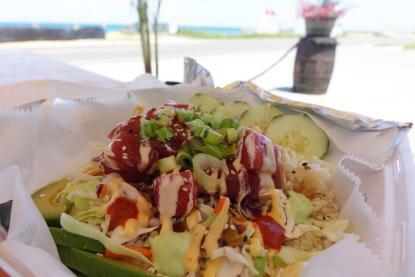 With its indoor and outdoor seating, raw bar and a booming calendar of live music, Hidden Treasure Raw Bar & Grill is a great place for the whole family, even your pups, to relax after a day at the beach. Located on the Intracoastal of the Matanzas River, this restaurant serves fresh seafood in a laid-back atmosphere. Among the treasures you’ll find at the restaurant are the signature seafood boil, smoked fish dip and gator tail. You’ll also find a diverse wine and cocktail menu. The house drink—a delicious mix of Club Caribe coconut rum, melon and banana liqueurs, pineapple juice, and grenadine—is served in a hand-carved coconut. The recently renovated Oceanside Beach Bar & Grill features an extensive outdoor deck, where you and your furry friends can enjoy excellent ocean views together. You’ll enjoy the fresh seafood, Italian classics and Mediterranean-inspired dishes like gyros, Greek salads and the always entertaining flaming cheese. Operated by a family with deep restaurant roots in Flagler Beach, this is a favorite eatery for breakfast, lunch and dinner. With its dog-friendly outdoor deck, delicious coffees and hearty breakfast, Java Joint has been a local’s favorite for more than a decade. Savor the crab cake benedicts, heaping breakfast burritos (the Philly cheesesteak version is especially popular) and fresh salads while taking in the ocean views. The restaurant also has delicious cappuccinos and lattes and local beers, bloody mary’s and champagne cocktails. Eat like the locals at these grab-and-go eateries. 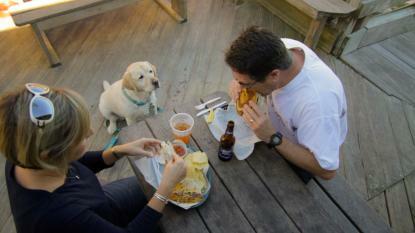 Located steps from the water, A1A Burrito Works Taco Shop serves heaping platters of tacos, quesadillas and nachos. Experience the U.F.O., a giant cheesy and chewy burrito that gets its name because the flavors are out of this world. If you&apos;re not up for a beach picnic, you can munch on your fish tacos and chicken tostadas at the Burrito Works’ outdoor tables. It’s not uncommon to find Bob himself behind the grill at his namesake Beach Belly Bob&apos;s Sandwich Shop. This beachside cafe and food stand serves breakfast, lunch sandwiches and tasty desserts. Start your beach day with a waffle breakfast sandwich, piled high with eggs, cheese and your choice of bacon, ham or turkey. Come back at lunch for the signature Flagler Beach sandwich— a mix of blackened fish, veggies and cheese in a pressed tomato basil wrap. One of the area’s newest restaurants, Key West Eats, serves a classy spins on typical beach fare. Here, the nachos are topped with goat cheese, prosciutto and roasted red peppers and the grits are served with blackened shrimp and bacon. Then there’s the ahi tuna poke bowl, a delicious mix of fresh fish, rice and seasonings. You’ll appreciate the local art in the indoor dining room, or you can take in the ocean views from the outdoor tables.